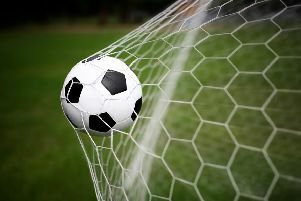 Sidlesham kept the pressure on the teams at the top in their push for promotion from division three of the Sussex League with a 3-1 win at Burgess Hill. They welcomed Tom Bayley, John Phillips and Barry McCoy back into the squad but, as with many away games this season, Sids handed the initiative to the home team by gifting them a goal. A corner was met by an unmarked player on the six-yard line and it was deflected in, giving John Pope no chance. Pope had already made an outstanding save keeping out a fierce shot. The goal kicked Sidlesham into gear and they started to boss possession. Bennett played in Dan Bassil but his shot was straight at the keeper, and then a through-ball by Phillips found Tom Kelly. His first touch put him one on one with the keeper and Kelly fired in his 14th of the season. Chances were coming more frequently for Sidlesham with most of them falling to Bassil, but the No9 couldn’t find the net. A speculative through-ball from McCoy sent Dean Reed away down the right and a reckless challenge gave Sids a penalty right on half-time. Phillips calmly stepped up and slotted the ball into the bottom corner. On 58 minutes, a moment of one-touch magic from Dean Bennett and MoM Phillips extended the away side’s lead. A one-two on the edge of the box ended with a shot being placed into the bottom corner by Phillips. Robinson, Bayley and Pearce were all introduced and helped secure a vital away win which keeps promotion on track. SIDS: Pope, Grantham, McCoy, Cowell, Carrigher, Jefkins, Phillips, Bennett (Robinson), Kelly (Pearce), Reed (Bayley), Bassil.